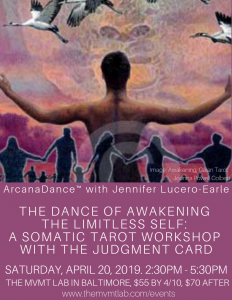 This class is a teaser for Saturday’s ArcanaDance™ workshop, The Dance of Awakening the Limitless Self: A Somatic Tarot Workshop with The Judgment Card. See below. In the tarot, the Judgment card is the archetype of rebirth. At the heart of this archetype is resurrecting the limitless self that has been buried deep within us as a result of judgment, criticism and shame. We are summoned to rise up and reclaim ourselves through expanded awareness, forgiveness, and commitment to our purpose. 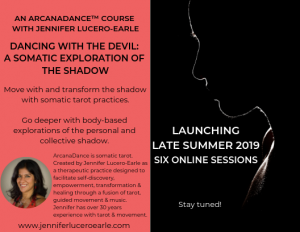 This introductory ArcanaDance™ workshop guides us through an embodied journey of expanded awareness, liberation from constriction, and heeding the call to a new beginning. This practice is unlike any tarot experience. We learn the tarot through the language of the body. We listen. We write. We dance. We do ritual. Our mind is suspended, our heart is held, and our soul speaks directly to us through the primal intelligence of our body. And a new story for our lives is written. ArcanaDance™ is somatic tarot. 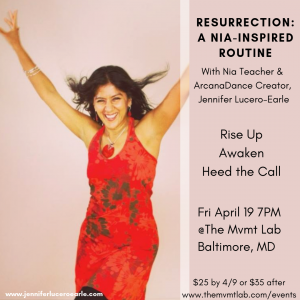 Created by Jennifer Lucero-Earle, this therapeutic practice is designed to facilitate self-discovery, empowerment, transformation & healing through a fusion of tarot, guided movement & music. No tarot or dance experience required. There will be several tarot decks available for participants to use during the workshop. However, participants are welcome to bring a tarot deck of their own, if they have one they’d like to use. To be rescheduled Dharma Yoga House in Dana Point, CA this Summer! Stay tuned! 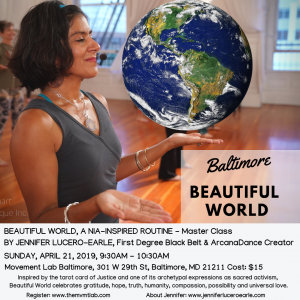 Due to a family emergency, the original workshop date of Saturday, April 13, 2019 has been canceled. 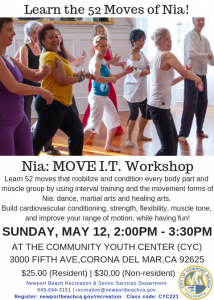 Jennifer will reschedule this special workshop for sometime this Summer. Each lunar cycle has its own essence and somatic expression. 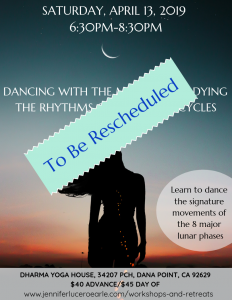 In this workshop, we will move with the signature movements of each of the 8 major lunar phases. When we embody these essences, we remember that we are intertwined with the power and majesty of nature. Come experience the embodiment of ebbing and flowing, waxing and waning, hiding and revealing, and fertile darkness to luminous power. This ArcanaDance™ workshop is an invitation to learn how to alchemize the raw energy of anger into a conduit for self-empowerment. Anger has the ability to strengthen our boundaries and motivate us to defend and fight for what deserves protection. Anger can guide us to pay attention to our inner world and listen to what we need. Few of us are taught how to feel and express anger in healthy self-honoring ways. A physical exploration of the archetype of anger. Explore your unique pattern with anger. 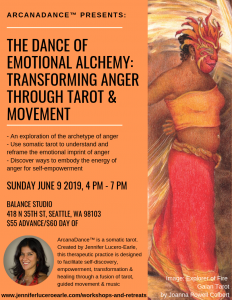 Learn to use somatic tarot as a tool to understand and reframe the emotional imprint of anger. Stay tuned to my website to learn of offerings throughout the country, including online, in the year ahead (2019). See a list of previous workshops and retreats here.